Attack on Titan is still a hugely popular Japanese manga series, and Koei Tecmo has announced that another game based on the series - Escape from Certain Death - will be coming to 3DS on 30th March 2017. Set in an old castle, fans can expect a brand new original story following the adventure of a Survey Corp member. While investigating the outskirts of a certain old castle, the Survey Corps are caught in a Titan assault. The ground collapses amid the chaos, and the protagonist ends up falling into an underground part of the old castle. Just narrowly escaping death, the protagonist cannot return to the surface as their Three Dimensional Manoeuvre Gear has broken. The protagonist links up with a single "partner" and attempts to escape the castle underground shrouded in mystery, but…? Do you want the next Attack on Titan game to be brought to the West? Did you play the last 3DS entry? Leave us a comment below. I once sent a pic of the Smiling Titan to my friends on Mother's Day. Good times. "Check out the teaser trailer"
You're wicked and I love it. Definitely wouldn't seeing it come too the West but I would like too see a version on the NS at some point also. @ThanosReXXX That's a teaser trailer for you. @Tsurii Blasphemy! I thoroughly enjoyed the anime. Haters can hate... I'll still be very happy with more Attack on Titans. @ThanosReXXX I read and enjoyed a bulk of the manga (up to around chapter 60-something) but it just kinda starts losing itself in inconsequential banter about stuff that's incredibly boring. The thing is being stretched really thin by the author in my opinion. I was half-joking tho, not gonna judge what people enjoy and what not as long as they enjoy the stuff. I do watch a lot of anime, though. Mostly fan subs and Attack on Titan was kind of a pleasant surprise to me personally. I do acknowledge that the story doesn't have all that much content, so I am wondering how long they can keep it interesting. There's a lot of other series that have also lost momentum, so that could happen to this one too. 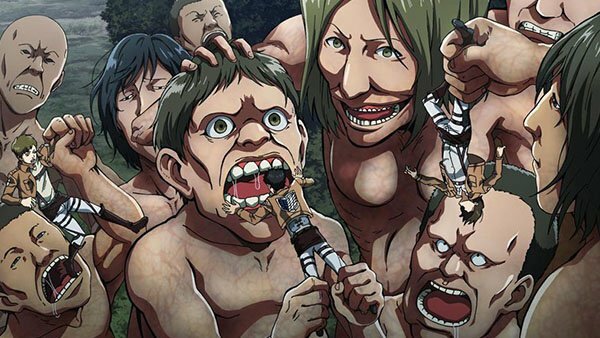 I don't know about terrifying but the titans are legitimately creepy as ****.